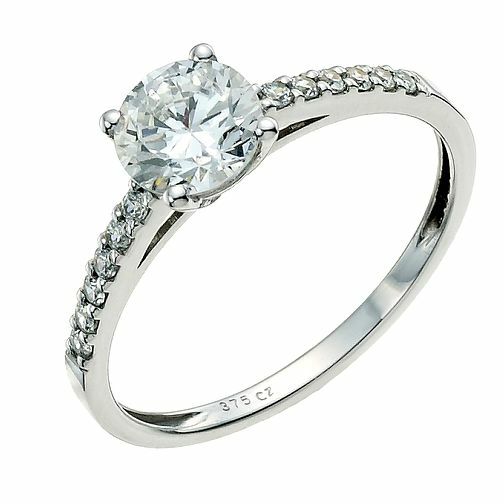 9ct white gold ring featuring a 6mm solitaire cubic zirconia with sparkling cubic zirconia shoulders. 9ct White Gold Cubic Zirconia Solitaire Ring is rated 4.8 out of 5 by 4. Rated 5 out of 5 by Anonymous from Very good You get what you expected. Good quality. Comes within a nice box too. Rated 4 out of 5 by Anonymous from Lovely ring Very beautiful ring and the quality is great too. It’s obvious it’ll last!